We are delighted to share with you the cover of The Price You Pay Is Red by Carlie St. George, the second novelette in our first-ever series, The Spindle City Mysteries. When Jimmy Prince–excessively stubborn gumshoe and maker of terrible life choices–stumbles on the corpse of Spindle City’s darling actress and heiress Sarah “Snow” White, he and street-savvy sidekick Jack are once again on a case that threatens to expose ugly truths from Spindle’s dark underbelly. Turns out Snow’s death is no ordinary open-and-shut case involving something as mundane as a jealous coworker or spurned lover. Her murder points to a much deeper, insidious plot that involves some of Spindle’s biggest criminals–as well as some of its greatest, most celebrated citizens. At stake is a rumored vaccine that could save thousands of lives from the Pins & Needles plague–a disease for which there is no cure, and that has already affected Jimmy’s friends and family in irreparable ways. But as Jimmy Prince knows all too well, hope is for saps, and The Spindle is not a city for those who believe in happy endings. Even when they want to, above everything else. The Price You Pay Is Red is the second book in the Spindle City Mysteries series. It is also officially the FIRST story we’ve ever actively commissioned as editors and publishers, based on our love for the characters in The Case of the Little Bloody Slipper (Spindle City Mystery #1 and a submission originally made during our open call for short stories under our “Subversive Fairy Tales” theme). When we asked Carlie to turn her single story into three stories, we weren’t sure where she would take the series and her characters–in The Price You Pay Is Red, she expands on the plague that has rocked Spindle City and its inhabitants, and the secrets that those in power would do anything to protect. We love this second story so much because it raises the stakes for Jimmy Prince, Hank, and Jack–we love it even harder because it expands on the relationships that Jimmy has built (both good and bad), and taps into his greatest fears. It also introduces us to Rose Briar, Sarah White and her family, Mr. Nguyen, and did we mention Hank Delgado? This second story is every bit as–if not even more so–tantalizing as the first, and set us up for the grand finale in The Long And Silent Ever After. We can’t wait for you to read it. Carlie St. George is a Clarion West graduate whose work has been published in Lightspeed, Strange Horizons, Shock Totem, and Shimmer. Her obsession with noir can be linked to unfulfilled career aspirations as a private detective, and a love of stylish hats. Her obsession with fairy tales can be blamed almost entirely on her sister. Follow Carlie online on her website mygeekblasphemy.com. Melanie Cook is an illustrator, concept artist and writer. She has produced storyboards for the likes of Ridley Scott Associates and concept art for the award-winning short film Payload and the science fiction project Restoration. 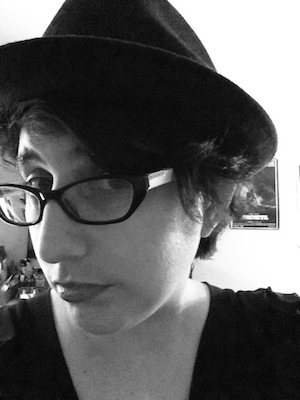 Her current projects include The Tyger and the forthcoming webcomic The Death of Negative Man. You can find her on Twitter (@melicook), Tumblr (melliecook.tumblr.com) or her personal website www.melaniecook.com. Episode 2 of The Price You Pay is Red goes out tomorrow – you can sign up at any time (and you’ll receive links to previous episodes you may have missed! ).